Of a calculated 66 million smartspeakers in U.S. homes by the end of 2018, about 3.96 million were HomePods, Consumer Intelligence Research Partners indicated on Tuesday. Apple doesn't release official shipment numbers for the HomePod however -- instead, CIRP's figure is based on a survey of 500 Americans with a HomePod, Amazon Echo, or Google Home. Amazon and Google are well ahead by that metric, with 70 and 24 percent shares respectively. "Amazon and Google both have broad model lineups, ranging from basic to high-end, with even more variants from Amazon," wrote CIRP co-founder Josh Lowitz. "Apple of course has only its premium-priced HomePod, and likely won't gain significant share until it offers an entry-level product closer to Echo Dot and Home mini." The Dot and Mini are each about $49, making them easy to pick up for people mostly interested in voice queries and smarthome control. The HomePod has far superior sound but comes in a single model, sold for $349 by Apple and somewhat less at places like Best Buy. 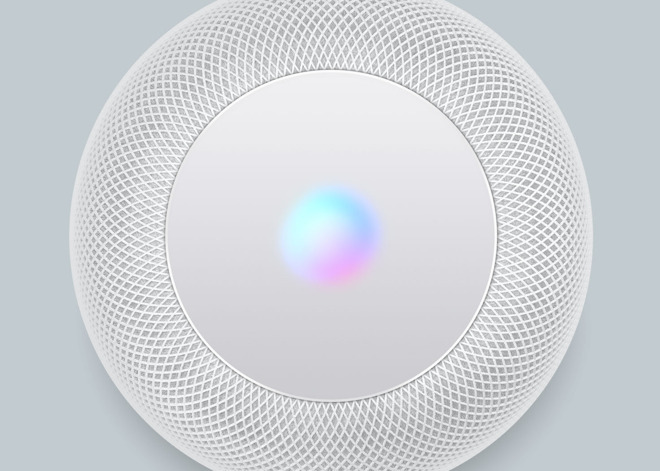 For nearly a year rumors have circulated of a new, lower-cost HomePod model. If it comes to fruition the product might sell for between $150 and $200, and/or as a Siri-capable Beats product. Aside from its cost, the HomePod has been criticized as too tightly dependent on the Apple ecosystem. It requires an iOS device to be configured, and the only native music service supported is Apple Music, whereas Echo and Home users can choose from services like Spotify and Pandora. Echo owners even recently gained Apple Music as another option. What a dumb comparison. Homepod was in development before the release of any smartspeaker. It was developed as a high quality Bluetooth speaker to enjoy room-filling music. How is Homepod supposed to compete with products that sell for Free-20 bucks? This metric is just another excuse to call Apple a "failure". Worshipping at the Church Market Share doesn't really interest me, as long as the device continues to delight. For the size and price, the HP is hard to beat IMO. I tried the larger and more expensive Sonos Beam, we A:B tested it (blindly for my SO) and felt the HP sounded better, both for music and dialog. So for music and movies, HomeKit commands (it hears me from two rooms), and the normal, mundane digital assistant tasks, HP is great. If they continue to improve Siri stuff, great. If not, no biggie. This is not to say its without faults. One annoying UX bug -- if you set the HP as your output device on your Apple TV, it will remember it, which is great. But, then when the ATV is sleeping and you ask the HP to start playing a radio station, it won't be able to...not until you un-set it from the ATV, which you can do by setting it as the output for your iPhone or iPad. Weird little problem and work-around, to be sure. Have submitted, hope they fix it sometime. I won't have any interest in this device until Siri sees some major improvements. What do you wish Siri to do so that you can enjoy it as a loud, clear speaker? Personally I find voice-only music commands rather limited IRL. I much prefer to use my iPad or iPhone as a remote for the HP, browsing my library for desired music. This is not streaming *to* the HP, rather you can connect the Music GUI to the HP and manipulate & queue the music it is playing. No comparison. Best sounding speaker to use with a device. A lot of tech for $349. To be able to answer questions accurately, and not reply with random crap that is not related to the query. To do more than function as a timer, and even that Siri fails 1/30 times. You didn't answer his question. The question was not "what's your wish list for Siri" it was about Siri as a front end for a music device. I don't ask my stereo to set timers nor do I ask it trivia questions. 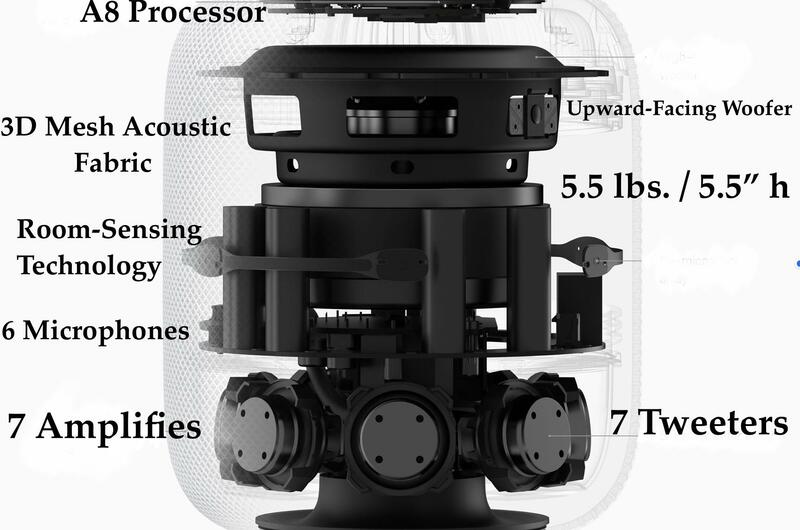 A 5.1 HomePod system would be killer. Charging them would be a pain but conventional speakers already have a messier wire setup so having 5 Homepods always charging isn't so bad I guess. Personally I find voice-only music commands rather limited IRL. I much prefer to use my iPad or iPhone as a remote for the HP, browsing my library for desired music. This is not streaming *to* the HP, rather you can connect the Music GUI to the HP and manipulate & qeue the music it is playing. Would a HomePodOS be too grandiose? I'm sure Siri will get smarter soon. Assuming they have an excellent random sample of 500 consumers who own one of these devices (which is hard to get nowadays), there is a margin of error of approximately 2 percentage points. So the HomePod market share would be between 4 and 8 percent. How they turn that into an estimate of 3.96 million HomePods is beyond me. At best they can say "approximately 3-5 million." Is that worldwide or US only? In any case, good job Apple. Apparent confirmation that you sold millions of these these high-end, niche devices. 66 Million x $50 = 3.30 Billion; 3.96 Million x = $325 1.27 Billion 38% of the money is not bad. Too late to a market which already raced to the bottom. A couple of things bother me about tech media commentary with HomePod; it’s market share is constantly compared to others with low-end options (like comparing AppleTV with Chromecast) & Siri comes last in an often-cited voice test covering 5 command categories - only one of which is relevant to the product. Fix? Upgrade the HomePod to A10X and merge with AppleTV (HDMI + AirPlay to a dongle). Oh and actually release it globally, that might help sales. Alexa or Google Assistant never fails? Not based on the reviews I’ve read. According to what I remember reading it wasn't in active development as an Apple product prior to other smart-speakers. It was a side project from one of the engineering groups, with no plans by Apple to turn it into something sellable. Apple decided to turn it into the HomePod AFTER other smart-speakers were finding success unless I'm not remembering correctly. I am on my 3rd HP and could care less about Siri. For me it's all about the sound quality which is unparalleled by any other smart speaker in my listening tests. I just set up a stereo pair and the results are stunning. A simple plug in the wall unit with a microphone and an 1/8” (3.5mm) jack out that I can choose the speakers I want to use with it, would be nice. The airport express with the headphone jack is a missed item that Apple needs to fill the gap with something new. It would help a lot with this marketshare number too. If they made it a smart plug that didn’t steal an electrical outlet that would be even better. Good instinct, don't waste your money. The benefits of the amazing speaker quality and design are significantly outweighed by the frustrations with siri. Even if you want to use it as an airplay speaker, that fails to, at least for me, although I doubt I'm the only one. I have regular problems with HP dropping the connection with my iPhone. HP is basically a glorified homekit input device at this point. I think I might just make it my Apple TV output to get some more use out of it. Doesn't mean that it was intended as a product at that time. It likely was an internal proof of concept by the engineering group, that evolved into a product after those other smart speakers "found success", and after Apple green lighted it. All in all, it was a pretty substantial first effort, from a technological standpoint. Kudos to that engineering group. So nothing related to the primary use case of playing back sound... This seems to be a disconnect between potential users -- those who want it to be primarily a smart-speaker, and those that want it to be primarily an awesome wireless speaker for sound.